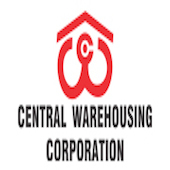 Online Application Details for Central Warehousing Corporation CWC Recruitment of 5 Deputy General Manager and 1 General Manager is given below. Application form and duly attested documents are to be sent to General Manager (Pers), Central Warehousing Corporation, Corporate Office, 4/1, Siri Institutional Area, August Kranti Marg, Hauz Khas, New Delhi-110016. In envelope super scribed with 'Application for the Post of Post Name'.